WHY THEY DON'T CARE WHAT YOU THINK: THE ROOKER-FELDMAN DOCTRINE AND THE DOMESTIC RELATIONS EXCEPTION! I just had a friend call me about her case which was recently thrown out of federal court. I understood her frustration. Throughout my devastating family court case, I always held federal court out before me as a beacon of hope. If worse comes to worst, I said to myself, I can go to federal court and ask for relief based upon my constitutional rights. I had other friends who urged me to go there and knew of others who were there already. What I didn't realize was that I was actually facing what I call "the stupidity factor" which is when people who know nothing make pronouncements about legal matters they actually know nothing about. What I mean to say is that going to federal court in order to obtain relief from state court judgments is not as easy as it seems. There is the Rooker-Feldman Doctrine which states that litigants are not allowed to use the federal court as a court of appeals from state court judgments. Hello, people, wake up and smell the coffee! This is why you have to be careful about who you listen to. I mean, don't even listen to me! Make sure you double check what I have to say. Look at my alert at the top of my blog--"I am not an attorney!" As much as I dislike and distrust attorneys, make sure you check with one before you start bothering the federal court with court actions that ultimately have no place there. Do your homework first! Doctrines like Rooker-Feldman protect bad judges, bad attorneys, bad GALs and bad Mental Health Professionals from any kind of accountability for their violations of your constitutional rights. They are immune, not only because of any judicial immunity they have in State court. They are also immune because we cannot involve federal court so as to hold these people accountable. That is why judges and attorneys, etc. have so much fun laughing at us when we invoke our constitutional rights. Without available federal oversight from the federal court system there is nothing we can do to enforce those constitutional rights. All they are, when it comes down to it, are a bunch of words on paper given that nothing requires any personnel associated with family court to adhere to them. And to put a few more nails on the coffin of our constitutional rights, not only do we have the Rooker-Feldman doctrine, there is also the Domestic Relations Exception. Under this exception, federal courts are required to decline jurisdiction in domestic relations cases when the primary issue concerns such matters as alimony and child support. The exception originates in the case Barber v. Barber, 62, U.S. (21 How.) 582, 584 (1859)--determined over a hundred years ago--where the Supreme Court ruled, "We disclaim altogether any jurisdiction in the courts of the United States upon the subject of divorce, or for the allowance of alimony..."
Also, in subsequent cases the federal court disclaimed, in dictum, federal jurisdiction of "the whole subject of husband, wife, and child. I believe there is also a similar probate exception. According to Anthony B. Ullman of the "Columbia Law Review", federal courts have accepted these assertions as implied limitations on their jurisdiction, despite a statutory grant of diversity jurisdiction that nowhere mentions such an exception. Naturally, under these circumstances the results have been contradictory and confusing. In 1992, in another case, Ankenbrandt v. Richards, the Federal Court further defined the domestic relations exception stating that it has to do with custody and alimony issues only and not to other issues such as torts. Still, the bottom line is that this exception gives the Federal Court a broad range of authority to simply dismiss cases emerging from family court particularly when they are brought by self represented parties. Thus, the Domestic Relations Exception provides an additional barrier to litigants attempting to obtain relief from the denial of their Constitutional and Human Rights. With two such solid barriers in place, no wonder family courts everywhere have such a widespread reputation for negligent legal practice and the routine violation of litigants' rights. No wonder they are laughing at you, and no wonder they don't care what you think and figure they will get away with all sorts of wrong doing and criminal behavior. Not that I am advocating that you sit down and die in the face of these obstacles. I would definitely do your research and find a basis in case law for arguing against them. But don't be naïve and think it is going to be easy. I'M A RAMBLIN' MAN! CONTROLLING YOUR WITNESSES ON THE STAND! If I could go back in time, I would probably tell my self represented self not to go to Court and represent myself. Seriously, I was like a lamb going to the slaughter in the Courtroom. On the other hand, now that I've gone through the experience I have more information to write in this blog, so I guess I benefited in other ways through my experience. All of you folks reading this blog are benefiting from my damned horrible experience of self representation! One of the worst aspects of representing myself was trying to maintain some modicum of control over the proceedings when everything in the Courtroom was militating against me, starting with the Judge. Up to this point, I have talked about raising objections, primarily focusing on procedural and evidential issues that could arise in court. However, there is also the area of objections you can raise in regard to testimony witnesses provide to the court. I can recall a particular moment in trial when my ex was on the stand. I'd been asking him questions when all of a sudden he went into this long diatribe where he said that I had taken our kids to Mexico. Huh! I thought to myself, Mexico? I've never been to Mexico. So I addressed the Judge and told him, "Seriously, your honor, I have never been to Mexico and I have a passport to prove that." In response, the Judge said to me, "You don't need a passport to go to Mexico." Now, in fact, you do need a passport to go to Mexico, but at that moment, what did I know? Nothing! Like I said, I'd never been to Mexico, still have not been to Mexico, so subtleties like whether I do or do not need a passport to travel there were quite beyond me. So how was I going to shut my ex up while he was going on and on about fabricated trips to Mexico? There are actually quite a few ways to cut short a witness if he or she is rambling on in directions you don't intend for them to go. For instance, you can say, "Objection, your honor, non-responsive!" That would be the appropriate objection if you asked the witness a question and received a response that did not address the issues you raised in your question and instead provided other information that was damaging, misleading, or confusing to your case. I want to tell you what a different trial I would have had if I had just known to say that! Instead, once my ex got on the stand, he simply rambled on about whatever was on his mind--i.e. my trips to Mexico, his theories of the case, why he shouldn't have to be subjected to examination on the stand--all sorts of material. Meanwhile, the judge and the opposing attorney simply sat back and enjoyed my discomfiture. Another good objection would be "Objection, your honor, assumes facts not in evidence." In other words, since there had been no evidence presented at the trial indicating I'd gone to Mexico, there was no factual basis for stating I had gone there or a reason for bring up the point. Thus, such a statement should be stricken from the record. There are all sorts of reasons for throwing testimony out of a trial, testimony that is both good and bad. In my case, the opposing attorney loved to say, "Objection, your honor, relevance." I don't know why, but whenever she said that, my brain would go into jam mode. I'd be like to myself, "Yeah, why is this fact relevant? I'm not sure. I've forgotten." Of course, once I was at home and done for the day, the reasons would come back to me, which was rather unhelpful in terms of timing. What made relevance hard to recall, let alone explain to the judge, was the fact that all the judges in family court generally ruled to eliminate opening remarks from the trial. I'm sure that was done on purpose! Without your opening remarks, it is very hard to explain why you are proceeding down a certain line of questioning because you have been unable to provide a context in advance. Then when you try to explain the relevance of your line of questioning, you end up getting into a full blown explanation of your case all of which is not allowed. My experience with testimony at trial was like trying to make my way across a minefield--every other question I heard, "Objection, objection, objection." to the point where I could barely ask any question, or present any evidence, and I was trying to make my argument based upon the threadbare remains. And I only had some remains because the judge had mercy on me and lowered the standards somewhat so that a bit of my argument made it through. There is also the point that you should keep in mind when considering proceeding to trial as a self represented party. When you are eliciting testimony from a witness, keep in mind that there are different kinds of examination--direct examination, cross examination, redirect examination and recross examination. Each of these categories of examination require a different kind of questioning technique. So at cross examination you are not allowed to ask the same kinds of questions as you would at direct examination. The bottom line, though, is that if you don't know anything about how to elicit information properly from a witness, the opposing attorney and the judge will run circles around you. This is where any self represented party benefits from observing as many trials as possible before entering court for his or her own trial. Otherwise, there are books and CDs, some by NBI (National Business Institute) which can clue you in on these procedures so you have a mastery of them before you pursue your own case in court. Whenever you go to family court for a hearing, it is important to ask your attorney what is the burden of proof that the judge expects you to meet in order to win your case. Different issues you bring before the Court require different standards of proof, and if you know what those standards are, it will be easier for you as a litigant to understand why the judge reached a particular conclusion. It will also be easier to know what documentary evidence you need to provide to your attorney in order to achieve good results. There are two cases that immediately come to mind for me when I consider the issue of burden of proof. The first is Fish v. Fish S.C. 17500 where the primary question for the Supreme Court was what burden of proof did the Plaintiff have to meet in establishing that the Defendant was not a fit parent so as to justify denying him parental rights. 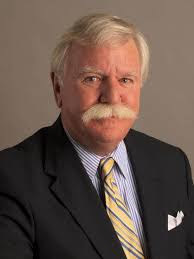 Did it have to be the standard of clear and convincing evidence as determined in Roth v. Weston, 259 Conn. 202, 234-235 or did it merely have to be that of the best interests of the child standard as delineated in Connecticut General Statutes 46b-56b. The second case is the Joe Watley case where Joe and Karin lost their parental rights to their children based upon the doctrine of "predictive neglect." The Supreme Court determined that the burden of proof which the Department of Children and Families used, that of "potential risk"--a 10% risk--was too low to act as the basis for denying citizens their right to parent. Instead, the Supreme Court determined that DCF must use the standard of "more likely than not" or the standard of finding by the "preponderance of the evidence. Probable Cause: This is a relatively low standard of evidence, which is used in the United States to determine whether a search, or an arrest is warranted. It is also used by grand juries to determine whether to issue an indictment. This is the standard often used to obtain a prejudgment remedy. This is relevant if you have filed a civil case in connection to your family court case in regard to abuse or financial wrongdoing for which you hope to obtain a prejudgment remedy. Probable cause requires a fair probability that contraband or evidence of a crime will be found. Courts vary when determining what constitutes a "fair probability", some saying 30%, others 40%, and others 50%. This is the standard of proof you need to meet in order to win during an Oneglia hearing. Preponderance of the Evidence: Evidence that, though not sufficient to free the mind wholly from all reasonable doubt, is still sufficient to incline a fair and impartial mind to one side of the issue rather than the other. This standard is also known as the balance of probabilities, i.e. "more probable than not" and is the burden of proof required in some civil trials. The standard is met if the proposition is more likely to be true than not true, or to put it another way, if there greater than 50% chance that the proposition is true. For those who have been following the tragic Trayvon Martin case the preponderance of the evidence is the standard of proof used for immunity from prosecution to be granted under Florida's controversial "stand-your-ground" law. Clear and Convincing Evidence: Clear and convincing evidence means "a firm belief or conviction" that an event has occurred. It is the intermediate level of burden of proof sometimes employed in the civil court. In order to prove something by "clear and convincing evidence" the party with the burden of proof must convince the trier of fact that it is substantially more likely than not that the thing is in fact true. This is a lessor requirement than "proof beyond a reasonable doubt" which requires that the trier of fact be all but certain of the truth of the matter asserted, but a stricter requirement than proof by "preponderance of the evidence," which merely requires that the matter asserted seem more likely true than not. Further, this standard is used in many types of cases including civil liberty cases, the probate of both wills and living wills, and of interest to those who deal with family court matters, in cases addressing juvenile delinquency and child custody. FRAUD: Just in case you wanted to know, in family court, fraud must be proven using the standard of clear and convincing evidence. Beyond a Reasonable Doubt: The highest burden of proof in any court proceeding is proof "beyond a reasonable doubt" and is ordinarily only used in criminal court proceedings. When a person stands trial, the jury must begin with the assumption that the accusations against the defendant are false. A juror can only find in favor for the government at the end of the trial if the prosecution has erased all reasonable doubts about the defendant's innocence from the juror's mind. The "presumption of innocence" is essential to the criminal process. 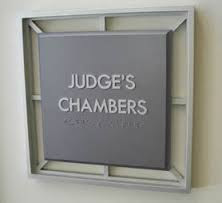 The mere mention of the phrase "presumed innocent until proven guilty" keeps judges and juries focused on the ultimate issue at hand in a criminal case: whether the prosecution has enough evidence to prove beyond a reasonable doubt that the defendant committed the alleged acts. This is the standard normally required in criminal court because such proceedings can result in the deprivation of a defendant's liberty or even in his or her death. These outcomes are far more severe than in civil trials in which monetary damages are the common remedy. There is also a standard known as "beyond a shadow of a doubt" but I won't go there! For Protective Mothers: Where I find this subject of interest to protective mothers is in regard to what standard of proof is required for domestic violence civil protection orders. 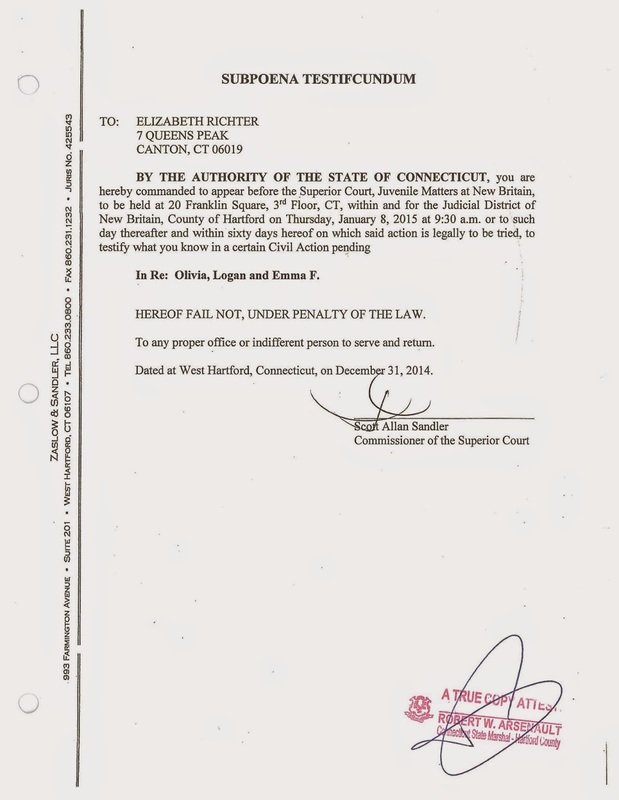 In the State of Connecticut, the standard of proof is "the discretion of the court". I'm not sure what the heck kind of standard that is, to be honest! Here is a quick definition I located online at "The Free Dictionary". Judicial Discretion is "Discretion is the power or right to make official decisions using reason and judgment to choose from among acceptable alternatives." This strikes me as a rather extensive and broad-ranging level of power which could and has resulted in family court litigants experiencing serious legal abuse. Of course, what is worse are those states that have no standards at all such as Minnesota. The vast majority of States use the "preponderance of the evidence" as their standard. 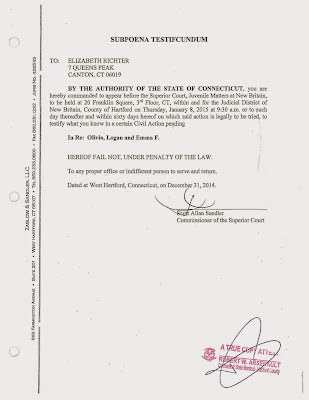 States such as Connecticut that rely on the discretion of the judge often in practice use standards such as sufficient cause, reasonable cause, or good cause, which could be anything from probable cause on up to the preponderance of the evidence. So Connecticut has a pretty low threshold when it comes to how much evidence you need to meet the legal standard required to determine that there are grounds for an order of protection. That's actually good if you are a protective mother. The bottom line, however, is how little judges take into consideration the burden of proof which they are supposed to be using. In the Oneglia hearings I have observed, judges simply proceed with the standard of "clear and convincing evidence" rather than that of "probable cause" which they are supposed to be using. In the memoranda of decision I have seen, particularly those from family court, judges often don't even refer to the burden of proof or provide supporting case law to buttress their rulings. They simply do what they feel like. So while I have given you this long, exhaustive explanation regarding what the legal system means when it refers to the burden of proof, and it is important for you to know what it is, don't hold your breath expecting the Court to adhere to it. I was at a recent hearing where the plaintiff was trying to expose her ex husband's financial fraud. This is extremely difficult to do because family court will do everything it can to obstruct any woman who attempts to hold her ex husband accountable financially. Unfortunately, many cheating, lying exes get some additional help with this since the banks and brokerage companies hold strictly confidential the majority of financial records which could prove such fraud, and the only way to get your hands on those documents is through discovery ordered by the Court. However, post judgment, the likelihood that you will obtain such discovery through a court order is mostly nil. Because the Courts prefer to protect and shelter evil doers, particularly your slime bag ex. So most judges will quietly stick their fingers on the scale of justice and decide against any kind of discovery when you go to family court with a request. If you want to swim against the tide and see if you can get discovery nonetheless, you would have to meet the burden of proof standard established by Oneglia v. Oneglia 14 Conn. App. 267 - 1988, "proof beyond a mere suspicion" or probable cause. Supposedly, if you meet that burden of proof, you will then be able to move forward with discovery. Needless to say, my friend lost. Again, not because she didn't have proof beyond a mere suspicion, but just to say that no matter what she did, the Court was going to rule against her because they don't like reopening cases post-judgment, particularly for a woman. So what does burden of proof actually mean? We've heard these terms bandied about on TV--"probable cause" to search a private home, and "beyond a reasonable doubt" to prove someone guilty of murder. We've heard "Innocent until proven guilty." But what does that all mean? The Burden of proof represents the extent to which a plaintiff or the government has to prove its case in order to prevail in a legal action. There is the tactical burden of proof, or the persuasive burden of proof which applies to how each party in a case argues regarding what the Court or a jury should infer from the proof they have before them. There is also the evidential burden of proof, where each side presents documentation to prove each of their positions correct. Then, finally, there is the legal burden of proof which is what I am addressing in this article. The legal burden of proof represents the obligation the plaintiff or the government has to prove the elements of the case in order to win the lawsuit. By elements of the case what I mean is that any legal charge includes more than one component. The one bringing the charge must show that each component exists, and also must show the extent to which each component exists such that it meets the requirements of the law. One such component might be a motivational component in a crime, such as intentionality. The burden of proof ordinarily rests upon the person or government entity that makes the charges, while the defendant proceeds with the assumption that he is innocent. The latin maxim associated with these respective positions is as follows: semper necessitas probandi incumbit ei qui agit, which means, "the necessity of proof always lies with the person who lays charges." Depending on the kind of case, the plaintiff or the prosecution will have to achieve a specific level of proof in connection to the elements of the case in order to win. These levels can be as low as the Oneglia standard of "beyond a mere suspicion" or "probable cause" all the way up to the highest level "Beyond a reasonable doubt" which we are familiar with in criminal cases. It is like that old adage of the "straw that breaks the camel's back." The plaintiff, or the government, has to throw down as many straws as it takes to reach the breaking point where disbelief dissolves into belief. There are demarcations for each standard, or for the number of straws that you have to throw down in order to meet those standards. While this should be a standard measured in a fairly mathematical way, and some articles on this subject, in fact, do measure each standard by percentage, in real practice, we who experience the arbitrary nature of adjudication in family court know that these standards are applied fairly randomly and arbitrarily. More on this in Part II. I am proud to state that, after I wrote my last blog entry earlier today, I made considerable progress on the document I've been trying to get done. Something about writing a blog seems to help grease the wheels of inspiration. Right now I am submitting my final petition to the Appellate Court to see if the CT Supreme Court will consider my complaints. My guess is that they will not consider them because they haven't considered them from the moment I walked through the door of Family Court. I mean, why should the light of common sense ignite at this point in the game? Coming from a family of teachers, as I do, it makes me shake my head to see such a stubborn group of people like Judges who set a course in a particular case and no matter how bad the course is that they have established will stick to it to the bitter end. One of the cornerstones of intelligent thought is the ability to reconsider, the ability to reset the course based upon new information, the willingness to see things from more angles than one and to tolerate grey areas. Of course, if there is one thing I am clear on, it is that Family Court judges can't stand intelligence and they can't stand intelligent people. In the course of trial, if a judge tells you that you are intelligent, you know that you are in a lot of trouble with your case. I am preparing right now to consider the steps I will need to take once my petition gets turned down. Once that happens, where do I go from here? According to the absolutely last page of the Handbook of Appellate Procedure, page 25, if you are denied a petition to the Connecticut Supreme Court, you can immediately file a petition with the United States Supreme Court. I have to say that I've been told this before repeatedly, and it was only until today that the news sank in. This is a situation just like monopoly. Once you are turned down by the State Courts do not pass go, do not collect $200, do not go to federal district court, skip them all, zip around the board and go all the way to Washington, D.C. and check your complaint out with the very highest court in the land. Permission to do this is granted by 28 U.S.C. Sec. 1257. You can appeal to the U.S. Supreme Court not only from an Appellate Court denial of a petition to go to the CT Supreme Court, if your petition to the Supreme Court is accepted, but your case is denied on the level of the CT Supreme Court, you can also go directly the the U.S. Supreme Court. The only problem with this approach is that generally only 1 to 2 % of cases that go to the U.S. Supreme Court are accepted for consideration. That is an absolutely miniscule number and a particularly discouraging one for litigants. I can imagine the odds are even lower for self represented parties such as myself. One thing to keep in mind for those of you who are not in the least bit discouraged--and I am one of them--make sure you file a stay of execution so that any actions against you can be stayed until the result of your appeal comes in. Thus, the Handbook says, "If a party wishes to obtain a stay of execution pending decision by the U.S. Supreme Court, that party may seek such a stay by filing a motion for a stay within 20 days of the appellate judgment." Practice Book Sec. 71-7. If your petition was denied on the Appellate Court level, you have to file your motion for a stay of execution in the Appellate Court. However, if your case in the U.S. Supreme Court was denied, you have to file your motion for a stay of execution with the Supreme Court. And don't forget that deadline, please. You have 20 days from the date of judgment or 20 days from the motion for reconsideration of the judgment, either one. The stay of execution will give you time to put together your petition to the U.S. Supreme Court. Of course, it may be you don't want to go to the U.S. Supreme Court. Maybe you want to sue the State through the federal court system. I don't know. I'm not sure if it is allowed. I will have to check into that. Skipping federal court seems like a good idea, like you are taking the short cut to the top. It seems really free and easy and like you would save a lot of money. On the other hand, it does worry me that you have a one shot chance and then you are done. Then you face the bill of costs from the opposing attorney who says you have been such a problem you have to pay all the legal fees for your insistence upon taking the case to the finish line. At least if you start at the beginning with federal court you probably have a slightly better chance of succeeding that you'd have in the U.S. Supreme Court with their odds of 1 to 2 percent. It certainly gives me a lot to reflect upon as I continue forward and submit my motion in the next few days. Its a game of strategy and I have to figure out how to play it--move the pawn, the rook, the King, the Queen? Whichever way it goes, I will have to take the path right from here to the end. I don't know if any of you have ever spent too much time listening to a hearing in court, but I'm sure most of you have definitely watched television movies with court scenes in them. In these scenes, during testimony, if one of the attorneys is not satisfied with a question, he or she will sometimes stand up and say "objection your honor, leading the witness", or "objection, your honor, speculation." What does it mean when an attorney says, "Objection, your honor, hearsay." According to the Electric Law Library, hearsay is secondhand information that a witness heard from somebody else and did not hear or see it himself. Generally, hearsay is inadmissible because it isn't trustworthy and because hearsay violates an individual's constitutional right to confront his accusers. According to Wikipedia, the constitutional right to confront your accuser is a clause of the sixth amendment to the United States constitution which provides that "in all criminal prosecutions, the accused shall enjoy the right to be confronted with the witnesses against him." Further, "generally, the right is to have a face-to-face confrontation with witnesses who are offering testimonial evidence against the accused in the form of cross-examination during a trial." The fourteenth amendment makes this right available not only on the federal level but also in the individuals states. So what does this mean in real terms? Essentially, you are not allowed to say, "Jim told me that Sally admitted to killing Mr. Jones." Why is that hearsay? Because Jim is not there in the courtroom to talk about what he personally heard. Witnesses are only allowed to talk about what they heard personally. The primary litmus test to determine whether a statement or document is hearsay has to do with the intention behind presenting that material. For example, if a witness makes a statement in trial court reporting on comments made by another person outside of the hearing in order to prove that those comments are true, then it is hearsay. The reason is because the person who made those comments is not available for cross-examination. Furthermore, according to Electric Law, "Statements in the forms of letters, affidavits, declarations, diaries, memos, oral statements, notes, computer files, legal documents, purchase receipts and contracts all constitute hearsay when they are offered to prove that their contents are true." However, if a witness comments on statements made by another party outside the courtroom, or if various kinds of documents are presented to the trial court for purposes other than to prove the truth of the comment or the contents of the documents, then they are all allowed. For instance, if they are simply offered to prove a person's state of mind, rather than the truth, then they are not considered hearsay. Even with safeguards to preclude hearsay, there are so many exceptions to the rules that frequently hearsay is admitted nonetheless. Overall, there are around thirty exceptions to the hearsay rule. 4. Business records created in the ordinary course of business. 6. Prior testimony, such as a copy of testimony from a previously held deposition where the opposing side was present. Why is it important to know what hearsay is? The only way that a litigant can prove his or her case is to present evidence to the trial court. If there is evidence that will decisively prove your case, the opposing side will do whatever is possible to eliminate your evidence from the record. One of the primary ways the opposing side can do that is to claim that your evidence is hearsay. Once you know what hearsay is you can get witnesses in to testify directly in regard to your evidence, or you can inform yourself in regard to the exceptions to the hearsay rule and get your evidence in through the methods provided by these exceptions. By doing so, you can block the opposing side from ruining your case. At the same time, once you are informed regarding the rules about hearsay, you can prevent your opponent from slipping evidence into the record that has no business being there. If the proof is in the pudding, make sure you are the one who decides on the the ingredients used to make it.